The article, “Information Processing and the Brain”, by Dr. Jeanne Ormond, discusses the theories of how the brain works and processes information. Information processing (IP) is a cognitive theory that seeks to explain how the mind functions. Historically, cognitivism was a popular theory in the 60’s and 70’s that developed a computer metaphor to explain how humans processed information as it relates to storage and retrieval. Later it was discovered that humans do not think like way computers do, as we tend to branch out in a lot of different directions all at once simultaneously, while computer information processing is more “linear”, information goes in or information is retrieved. When learning is studied from the perspective or information processing, information is easily retrieved based on how it was obtained. Dr. Ormond gives an example of learning material through rehearsal/repetition opposed to relating information to things or situations you have already experienced. When the information is required later on down the line, it will be easier to retrieve the information when relating it because when you think of what you related it to, you will automatically be able to retrieve the newly gained information. In addition, humans have a great capacity of remembering what they see (visual leaner), as visual imagery is a highly effective method of remembering things (Ormond, n.d.). This can be enhanced by the individual also hearing during the same time they visually acquire information. For humans, there is not one clear way of teaching that would ensure successful learning. During this time the study of learning strategies became popular in trying to understand why some people learned regardless of the methods used to teach them (Orey, 2001). Three main strategies were used to understand this question. Metacognitive Strategy – planning for learning, thinking about the learning process, montitoring, and evaluating learning. Cognitive Strategy – task specific and refer to direct manipulation of the learning material itself. These strategies include note taking, repetition, guessing meaning from context, or using mnemonic devices. Socioaffective Strategy – uses association with input from teachers or peers. These strategies can be taught to learners, facilitating one of the most important goals of learning, learning autonomy (Orey, 2001). Why are the resources sited important to Instructional Design? The information provided in the resources gives Instructional Designer foundational information on theories and strategies that are imperative in a learning environment. Knowing and understanding this information can assist Instructional designers with developing courses that are engaging, and more importantly, provide the student with a solid learning experience. From reading these two articles and understanding how individuals learn, I know that incorporating various components, such as visual, auditory, and hands on exercises into a course will help students learn the information and retain it until it needs to be applied to various scenarios. I was shocked to learn that there are additional learning theories explain learning processing at a more granular level which explained how individuals actually retain, process and utilize information that they learn from various sources and methods. During the processing of learning about the different learning theories and comparing them to each other as well as the comparing them to the learning styles I am familiar with, I’ve discovered that all of them are some way related and there is not one specific learning theory or learning style that contributes to the entire learning process for one individual, it’s a combination. Professionally, I’m a SQL Data Analyst and a great percentage of my work involves processing, analyzing, and organizing data with the intention of presenting it to an audience that is only interested in the final output. The audience is not familiar with the nuts and bolts of what it took to gather the data, only the output. With my profession, I write lot of database code to get to the final results, which is a trial and error process. With this being said, I realized that my learning styles are geared more towards Kinesthetic (learning by doing) and Visual. In regards to the learning theories, I think my learning process is a conglomerate of all of the theories depending on what I am striving to learn. Based on what I’ve learned in this course, learning theories, learning styles, educational technology, and motivation are the key components of learning in an online environment. The instructional designer or online-facilitator has be well versed in his/her knowledge of the various learning styles and learning theories in order to successfully develop and/or facilitate online courses. It is impossible to develop/facilitate courses based on the specific learning styles of each student in the course, however, courses can be developed in a manner where the students are able to learn and prosper educationally. Educational Technology is the vessel that is utilized to deliver the material. Motivation is related to the aforementioned because without motivation, the student will fall by the wayside in the course, especially online courses. It is the facilitator’s job to keep the students engaged by asking thought provoking questions, providing constructive feedback, and providing interesting material. In summary, the instructional designer’s/facilitator’s function is to arouse (Ormrod, 2009) the learner via education technology. Learning styles, motivation (purpose) and drive (Ormrod, 2009) are all key factors that determine the effectiveness of instruction. I think my current knowledge of the learning styles and the learning theories presented in this course has given me solid framework to build future style of instructional design. I’ve learned a great deal about how learning occurs, the pros and cons of technology, and the importance of developing engaging courses that will also keep the learned motivated. 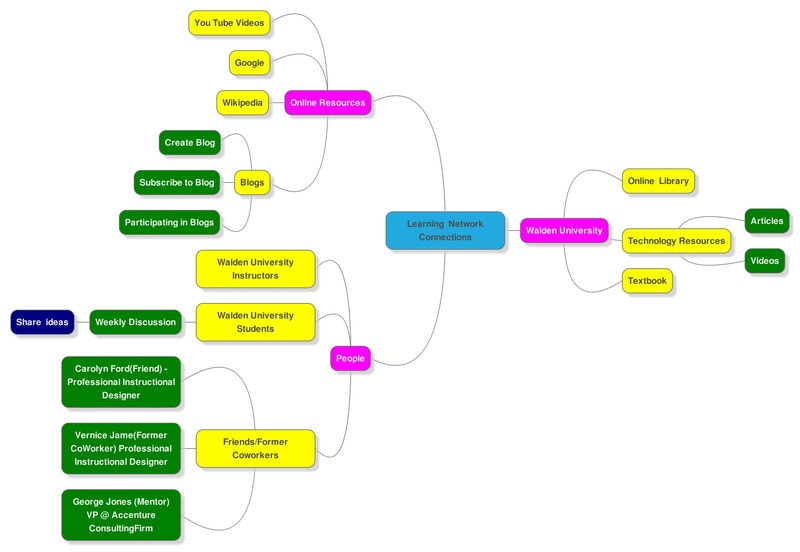 Learning Theories: How they have contributed to my learning process…. Between these 4 choices of learning style, I am100% confident that my learning style wavered between Visual and Kinesthetic. Throughout my entire educational and professional career, I’ve always retained information and learned from “seeing” things done and being able to replicate based on what I observed (visual); and “doing/tinkering” with a problem until I resolved it (Kinesthetic). Now that I am aware of the learning theories, I think I’ve gained a more in-depth understanding of how I learn. Granted, I still know that I am a Visual and Kinesthetic learner, however, based on the learning theories we have covered, I think each theory contributes to the way I have learned in its entirety over the years based on a given scenario. As I mentioned in my Week 1 post, as a child, I think a lot of my learning process was through the behaviorism. I learned not to touch a hot stove by touching it, seeing it was hot, and never touching hot stove again because of the negative reinforcement encountered. As time progress and became older, the other theories contributed to my learning. Technology has played a significant role in my learning process via various vessels such as e-Learning courses, Social Media, YouTube, and networking virtually with other individuals. Participating in the online discussions for the past 8 weeks is a prime example of technology playing an important role in my learning process. Taking this course has afforded me the opportunity of communicating with my peers and class facilitator which has assisted me with learning through elaboration and also obtaining new knowledge as it pertains to this course. I’ve completed the Week 5 Assignment asks us to “brainstorm” and map out the learning connections that we have experienced in our everyday lives. I used on Online-Tool called MindMup which can be found at http://www.mindmup.com. I welcome suggestions for improvement, as this is my first experience with this type of task. Instructional Design newcomers will promptly become familiar with the most popular learning theories as they are the foundation to becoming an effective designer. Understanding learning theories will assist with understanding individuals in your audience. This is imperative to the learning process because knowing how individuals learn and what influences their actions and reactions will help the instructor understand how to change and adapt material that will maximize the learning experience. Learning as interpreting and understanding reality in a different way. Learning involves comprehending the world by reinterpreting knowledge. I think each of these articles will be referenced repeatedly in my Instructional Design career because they provide vital foundational information for course design.